The cover reveal seemed to leave librarian and Fuse Eight blogger Betsy Bird eager for more, though — a feeling that she shared with author Chris Barton on Twitter . . .
. . . and that he then shared with us. 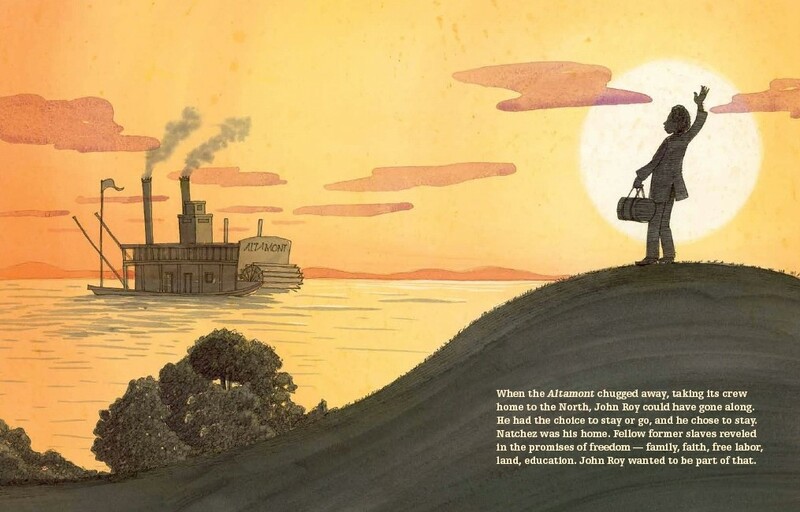 Unfortunately, we won’t be able to reveal the book in its entirety even to reviewers (sorry!) until advance F&Gs arrive in January. 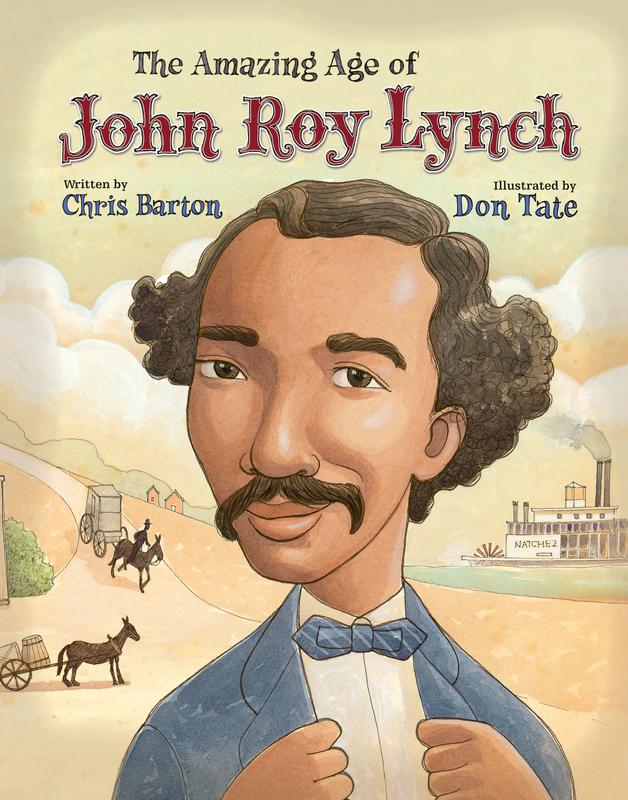 John Roy Lynch had an Irish Father and an enslaved mother. By the law of the South before the Civil War, that made John Roy and his brothers half Irish and all slave. 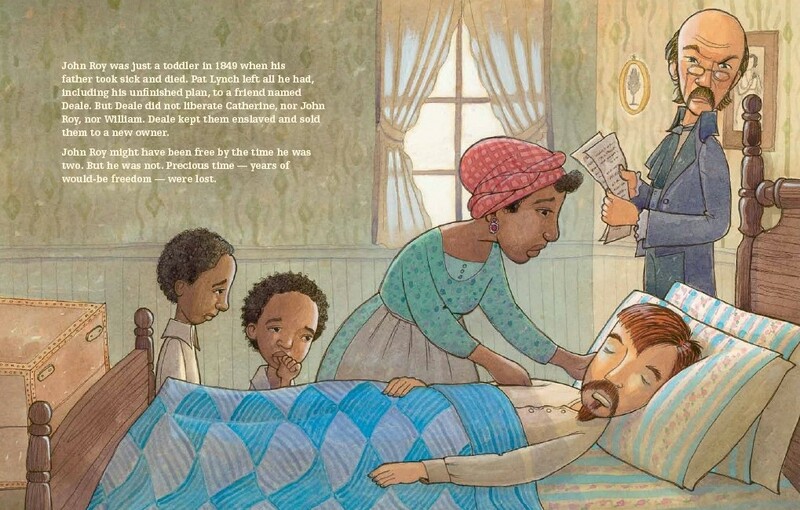 John Roy was just a toddler in 1849 when his father took sick and died. . . .
John Roy might have been free by the time he was two. But he was not. Precious time — years of would-be freedom — were lost. [John Roy] had the choice to stay or go, and he chose to stay. Natchez was his home. 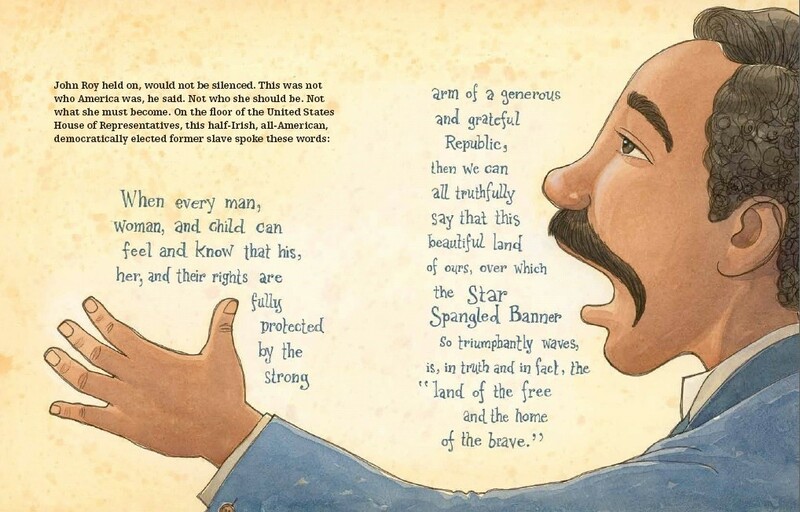 Fellow former slaves reveled in the promises of freedom — family, faith, free labor, land, education. John Roy wanted to be part of that. John Roy would not be silenced. This was not who America was, he said. . . . 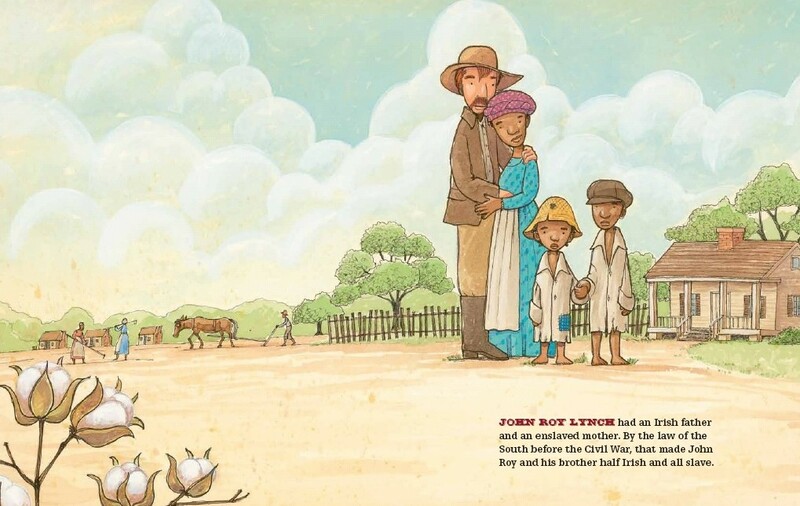 Forthcoming in April 2015, The Amazing Age of John Roy Lynch is available for preorder now. Gorgeous! I can’t wait to read the book.